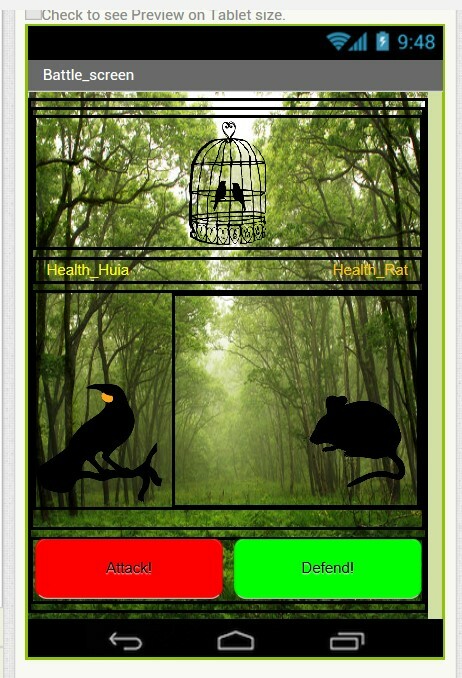 Our apps aim is to get more people to pay attention to the native birds. It teaches you about the native bird in New Zealand in a fun way. This app is for people that love birds and want to learn more about them. It’s an educational but still fun :D In our app, you are a Huia. Huia's are extinct but we think we should choose something a bit more original for our game. When you enter the game your faced with the home screen. The you click play then you battle the rat and win :D NZ Bird!